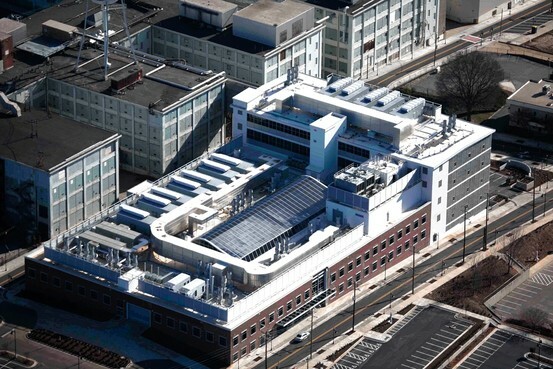 A big user of the tax-credit program is Wexford Science & Technology, a unit of San Diego-based BioMed Realty Trust Inc., BMR +0.66% which has renovated three former R.J. Reynolds tobacco factories in Winston-Salem. The old tobacco factories are part of the Wake Forest Innovation Quarter biomedical-science and information-technology hub, where researchers are working on treatments for smoking-related ailments. This redevelopment is leading to new apartment communities being developed as well, including one of PTAA’s newest members, Plant 64. *Please note that this is a cross post of a piece I wrote for the blog at work. This entry was posted in Wake Forest U, Winston-Salem and tagged wake forest innovation quarter, winston-salem, winston-salem historic redevelopment on April 16, 2014 by Jon Lowder.